Things I like. Things I dislike. And things I'm not quite sure what to make of. Going out on a limb here because it hasn't yet been released. 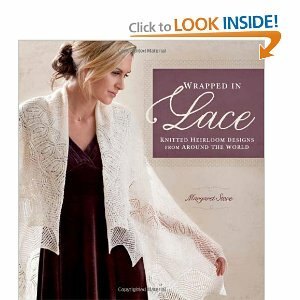 But I've seen some of the designs in this book and I have a good hunch this is going to need to be on my bookshelf. Good stuff. This is officially my new favorite breakfast food... after bacon. When did yogurt go from being kind of runny and gross to having the texture of really good pudding? This stuff is fantastic. 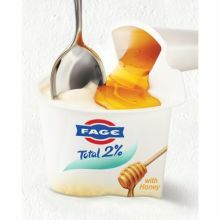 I like it with honey, but the fruit varieties are great too. A good friend recently went on a trip to Alaska and came back with an incredible gift. A bag stuffed full of qiviut - ready to be de-haired and spun. Now - what to make? I was lucky enough one recent afternoon to spend some time with a Majacraft Rose wheel. 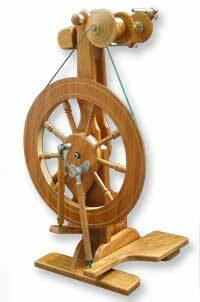 Although I had no prior experience with any double-treadle wheel, I found this one incredibly easy to use. In fact, I was able to spin far more easily on this wheel after a short afternoon than I spin on my own Ashford Traveler after many weeks of practice. Spinning on this one was a real treat. Another Etsy treasure, this time by an outfit called RainyDayToys. I have no words to express the sheer awesomeness of this. 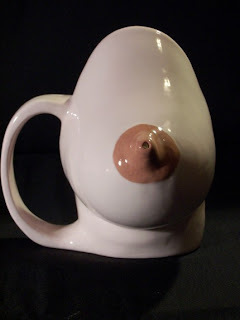 The only way it is better is if it comes in different -ahem- cup sizes. I wonder if Mrs. TSMK would still drink coffee with me in the morning if I was sipping my latte out of this piece of brilliance. 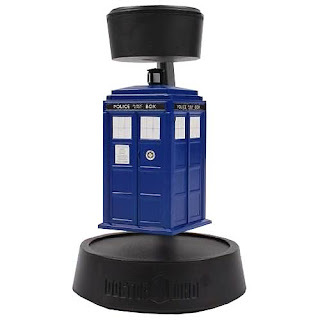 Saw this while looking online at potential toys for my oldest son's birthday. This is just too cool. The TARDIS sits suspended in midair by magnets. Give it a spin and watch it rotate - landing who knows where or when. Some time ago, I picked up a set of Blackthorn doublepoint needles. I've now used them quite a bit, and I'm still not sure what to make of them. On the positive side, they are incredibly light and have very sharp points: two features I prize in dpns. On the negative side, their clever carbon fiber construction leaves them with a slightly bumpy surface. In fact, I suspect that if you looked at them under a microscope they would appear serrated. The surface feels good on my fingers, but I'm noticing that it causes yarn to fuzz up very slightly while knitting. Overall review - Mixed.